12pm – Darjeeling were skippered by Nick Harvey with a supporting cast of Kym Harris, Andrew ‘Chef’ Mathews and Jon Houghton. We decided to meet early in Barasti in order to discuss cooking tactics. How could Kym, Nick and I look busy while our very own Chef prepared the meal? The first order of the day was the make sure we didn’t call Andrew by his nickname, especially in front of our nemesis – The Loose Cannons. If he were to be asked what his profession is he would simply reply with ‘I’m a car salesman and left arm pie chucker’. 2pm – We arrived at the scene of Darjeeling’s biggest challenge yet and after seeing what foods we would have to use Chef quietly tapped Nick on the shoulder…’We’ll win this.’ It was on. 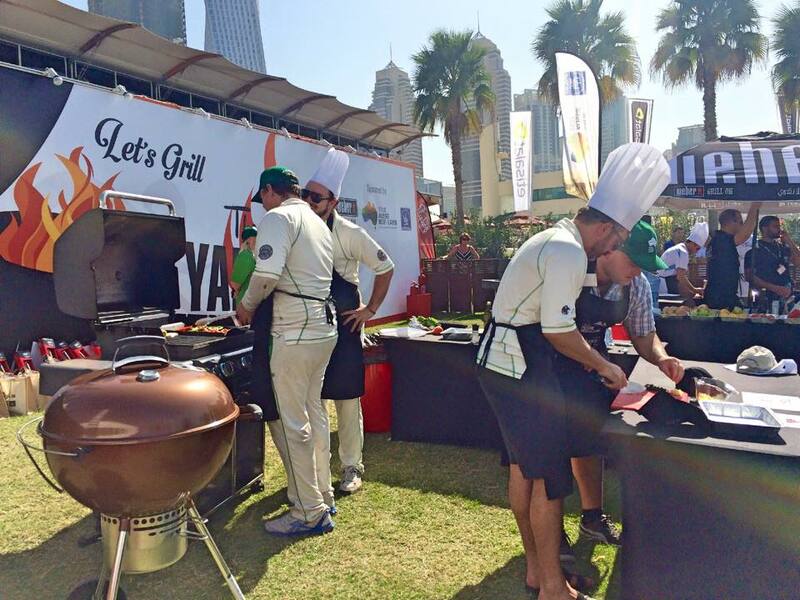 Having agreed upon the batting order, our role was simply to give as much of the strike to Chef. 2.40pm – Chef took the lead cutting and marinating the steak with Nick ferociously chopping away while Kym and I stood by the BBQ discussing how to grill the perfect pepper (And asking Chef every two minutes if they were ready). To liven things up a bit I walked over to the Cannons’ cooking station and began recounting THAT infamous Sting night in Abu Dhabi, this obviously had an impact on Moxey’s concentration as he overcooked his steak. Darjeeling 1 Cannons 0. At this point my team mates called me back as I was tasked with the very important job of adding pepper onto our peppers, an easy task some might think but this was the make or break point of the competition so the pressure was on…As I tried applying the pepper disaster struck and I broke the shaker and covered our peppers with an entire bottle of corn pepper. Never has the caption of ‘You had one job’ applied more appropriately. 3.20pm – The meals were cooked and ready to be judged. As we eagerly awaited the results, the Judge came back out and announced that our very own Darjeeling Cricket Club had won and qualified for the Final! (Winning a brand new Weber BBQ in the process). We had finally extracted revenge on the Cannons for all those one sided games we have recently had against them. After taking a couple more parting shots at them we retired to the bar waiting for our 5.30pm final. 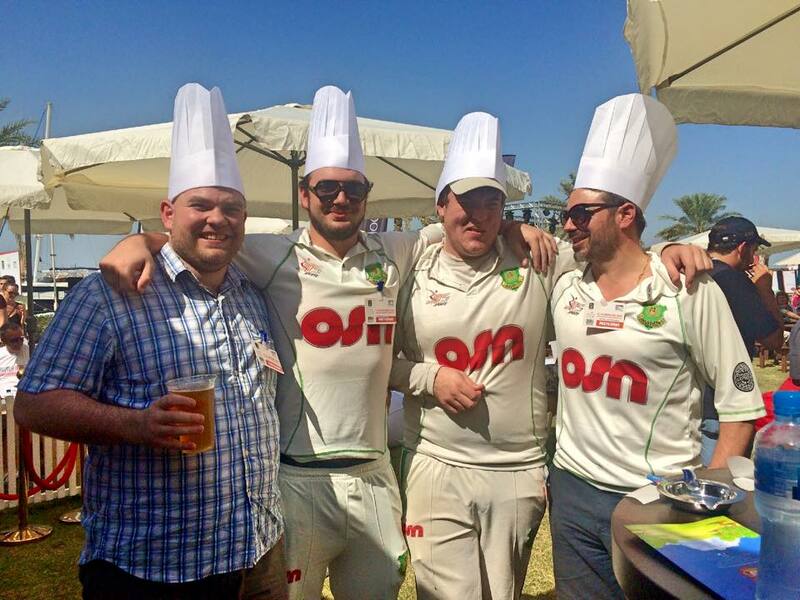 Round 1 Man of the Match was Chef for a well-paced ton with invaluable contributions from Kym, Nick and I. 5.30pm – Pissed. The final began with some of Darjeeling’s team members looking a little worse for wear. The ‘secret’ ingredients for the final were a Lamb shank, sweet potato and various fruits. After a five minute board meeting where Nick made numerous suggestions to Chef about what we should make, we unanimously agreed we would listen to what Chef said and follow his orders. As I don’t remember much of the next 40 minutes I’ll cut to the result. 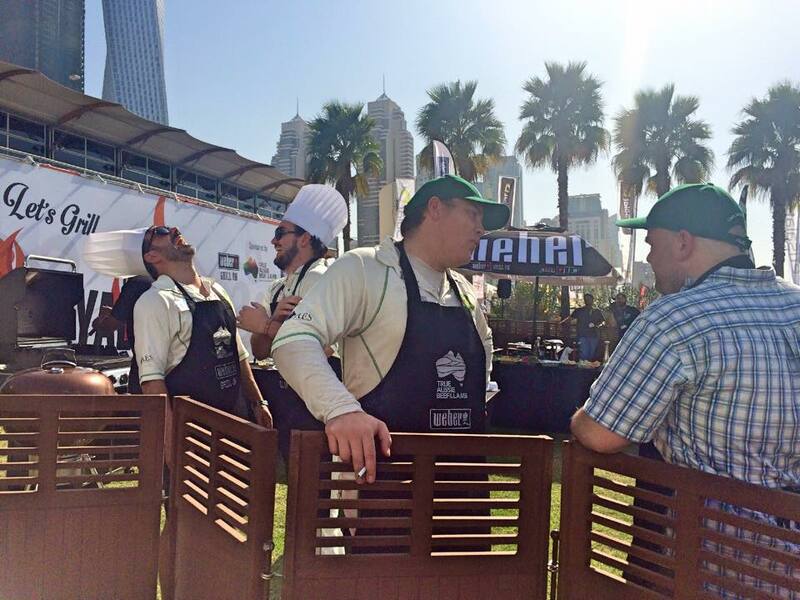 We lost to a team of Emirati men & women as we had apparently added too much salt and garlic…If only I was tasked with adding pepper again…Net result – Chef got a first baller and the game was as good as done after that. His hotel will be getting a letter from me complaining about his excessive use of garlic! 6.15pm – A very enjoyable day with excellent support from Kym’s mum, Chef’s missus and non-other than Olly Higgens (When the F@%k are you back playing cricket?!). A great way to spend a Saturday afternoon with beverages, friends, laughs and pepper. 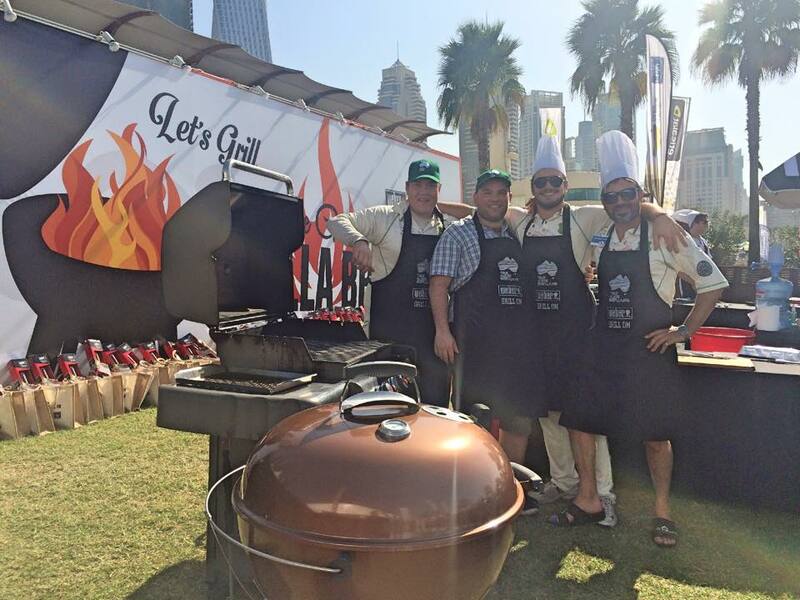 As always thanks to Nick for organising it and Chef for winning us a free BBQ! 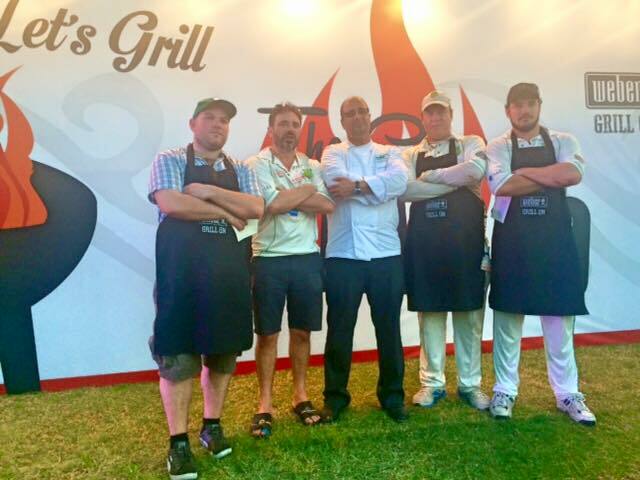 This entry was posted in Club News and tagged BBQ, Competition, Cook, Darjeeling Cricket Club. Bookmark the permalink.